Yeah, so remember that time when I worked on a 4+ hour Marathon playlist and my mp3 player decided to stop working at Mile 14? 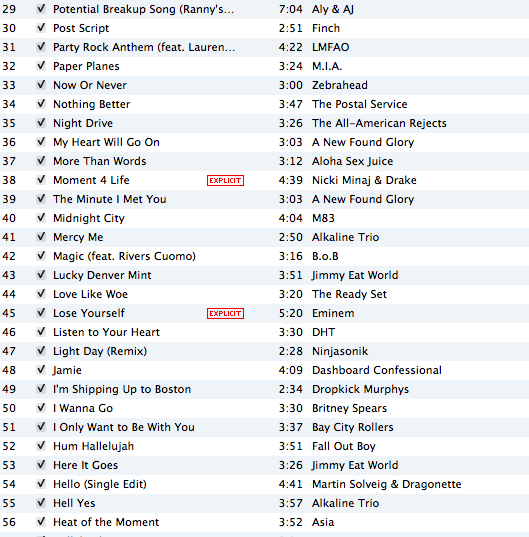 "The music is in my head"
So, there ya have it, 79 songs = 4.8 hours of a randomness. A majority of these tracks will make the transition over to my next training cycle, but some will be moved/updated as necessary. 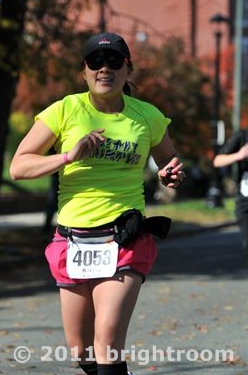 What kind of music do you prefer to run to? Does it match your ‘usual’ preferred genre? The same thing happened to me in July. 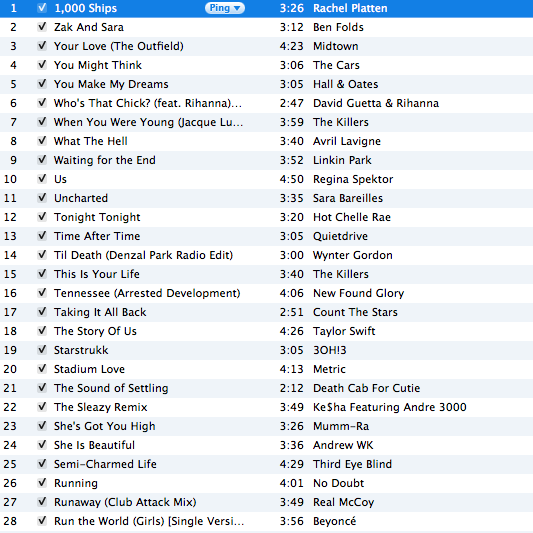 I stayed up late the night before my night marathon working on my playlist. 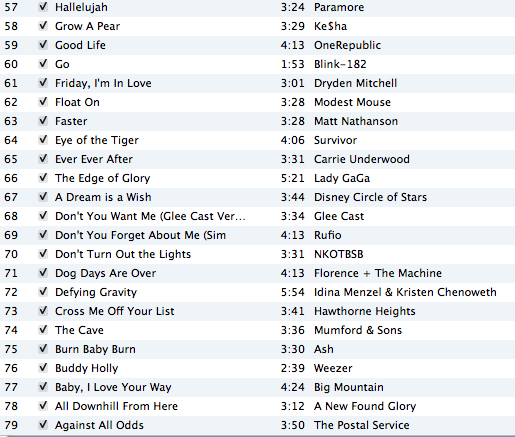 My iPod died 12 miles into the race. I wasn’t a happy camper as I missed out on precious sleep. BUT it wasn’t as bad as I thought it would be. Just made me a little flustered.